Over at GameInformer.com, writer Kyle Hilliard conducted an interesting test. 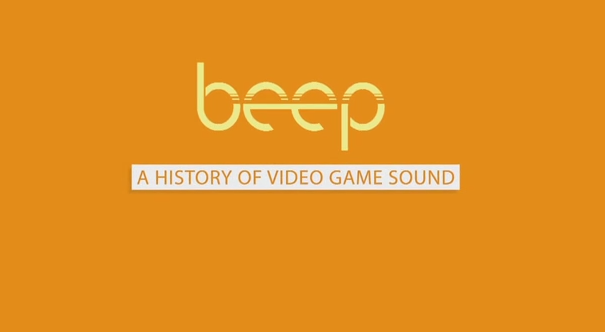 He recorded the sounds made by video game controllers to see which is the noisiest. In the course of the test, he pressed the buttons of various controllers from across the long history of video game devices, and then categorized the controllers according to their peak decibel levels. You can go over to his article to read about his testing methods and see the bar graph of his results. His test got me thinking about the idea of aural feedback – the use of sounds to confirm or reinforce the literal actions of the player. For instance, when the player hits a button and causes an action in the game, the game emits a sound that represents that action. These can range from plain clicking noises meant to accurately emulate the sounds the controller makes naturally, to more whimsical dings, pings, tones and whooshes – the inherent nature of which would depend on the atmosphere of the game. These sounds can encompass both the immediate action of clicking the controller and the physical action or reaction that occurs as a result of player’s click. When these aural feedback sounds are strongly evocative of a sound effect, such as a click or a whoosh, then they fall completely into the purview of the sound designer’s art. But when they are closer to dings, pings and tones, they begin to cross into the realm of musical expression. This is when the sound designer and the music composer for a game can work in a very collaborative fashion. 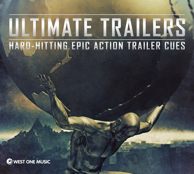 I’m pleased to share some news about one of my recent projects: music composition for the Ultimate Trailers album from West One Music. The album is described by West One Music as “hard-hitting epic action trailer cues including electronic and rock hybrids and orchestral action.” West One Music is one of the leading recording labels for production music that graces audiovisual productions around the world. Music from the album will be available for use in television and film productions, so I’m looking forward to seeing my music appearing in lots of interesting projects! 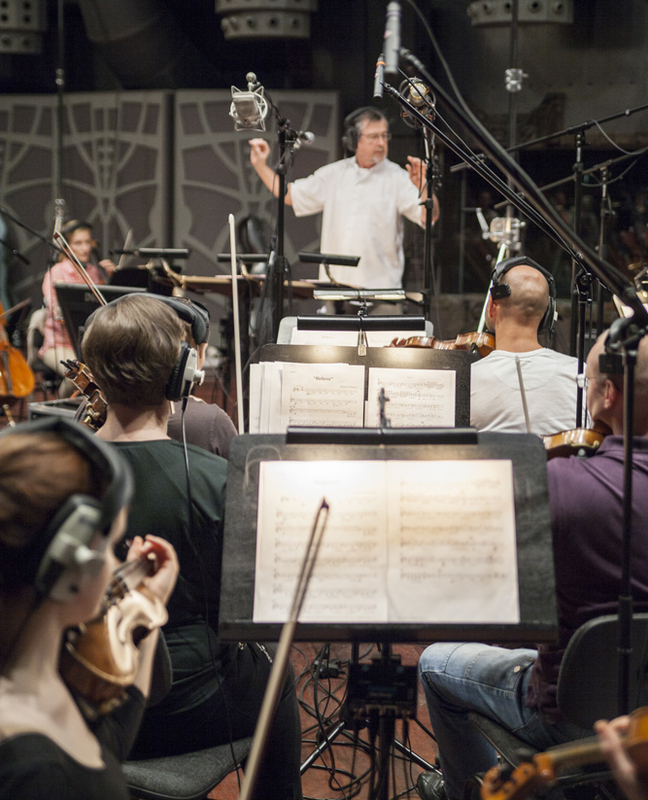 Here are some photos from the orchestral recording sessions for the Ultimate Trailers album. 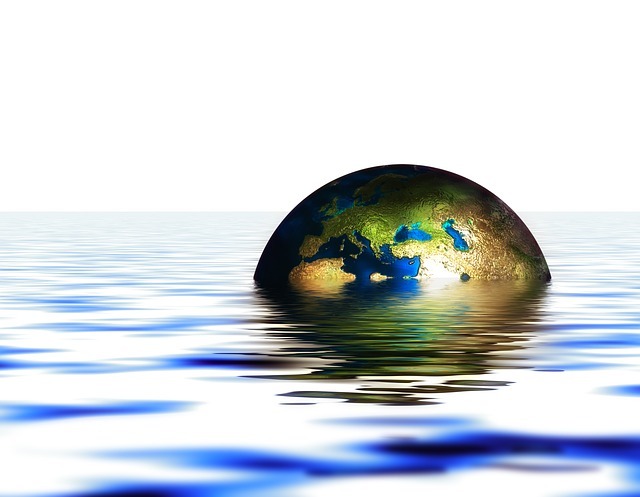 My music was recorded by the Alvernia Orchestra – some of their other film projects have been Free Willy: Escape from Pirate’s Cove and Closer to the Moon. Since I’ll be giving a speech at the Montreal International Game Summit in November about “Music, the Brain, and the Three Levels of Immersion,” I thought I’d use this blog as an opportunity to look at three other perspectives on the role of music and sound in the Immersion phenomenon – in which we lose all sense of reality and surrender ourselves completely to the gameplay experience. My speech in Montreal will include some ideas that are detailed in chapter three of my book, A Composer’s Guide to Game Music, and the connections between aural experience and the immersion effect will be correlated to some specific research studies that are explored in my book. However, there are certainly multiple ways to approach the topic, and immersion is a complex subject to tackle, particularly when we’re attempting to understand what role audio and music may play in the experience. In the article, “Papa Sangre and the Construction of Immersion in Audio Games,” author Enongo Lumumba-Kasongo attempts to understand the immersive power of the audio-only game Papa Sangre, while also touching upon the effects of gender exclusion on the ability of non-represented genders to become immersed. The author’s conclusions about the internalized nature of audio-only immersion are intriguing. In part three of the article, “Video Game Technology: Immersion Through Sound,” author Hugo Aranzaes makes some interesting points regarding the effect of increased audio channels (surround sound systems) on the immersive power of sound, particularly in the case of First Person Shooters, in which such positional audio information can be used strategically during gameplay. Finally, an article by Connor Bridson provides a highly personal and subjective viewpoint about an equally personal and subjective experience – the horror game. Entitled “Immersion in Horror Video Games,” the article contends that audio in an atmospheric horror game occupies a greater position of importance than visuals in the experience of immersion.